Policy makers will need to increase fuel taxes to curb the growth in vehicle miles traveled that drives transportation emissions, says a new report. Photo: respres, flickr. Raising the price of gas to $7 per gallon may be necessary to meet the U.S. Environmental Protection Agency’s 2020 targets for cutting greenhouse gas emissions by 14 percent, says a new report from Harvard’s Belfer Center for Science and International Affairs. The report posits that reducing oil consumption and carbon emissions from transportation will be more difficult than previously assumed. It will require substantially higher fuel prices, ideally in combination with more stringent efficiency standards. Additionally, the study concludes that relying on subsidies for electric or hybrid vehicles – often the politically attractive option – is an ineffective way to reduce greenhouse gas emissions in the near term. On the other hand, fuel taxes proved beneficial in the study’s models. Taxing transportation fuels stimulates the greatest reductions in oil consumption and CO2 emissions, and it is the only policy option modeled that curtails the growth in vehicle miles traveled. 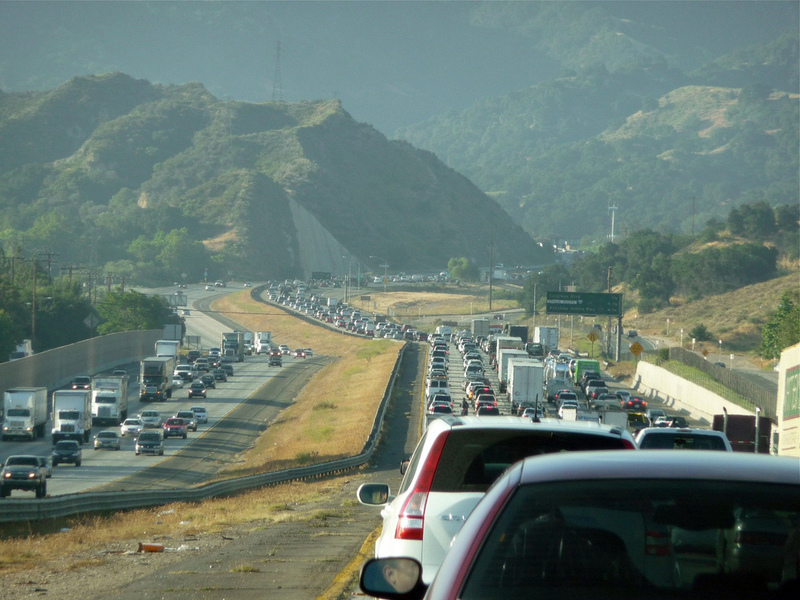 VMT will increase by more than 30 percent between 2010 and 2030 unless policymakers increase fuel taxes. Higher transportation costs are also closely linked to land use policy and development of mass transit systems. Good news from the study: climate change policy will have little detrimental effect on the economy. Even under high-fuel-tax, high-carbon price scenarios, losses in annual GDP relative to business-as-usual are less than 1 percent, and the economy is projected to grow at 2.1 to 3.7 percent per year assuming a portion of the revenues collected are recycled to taxpayers. The researchers devised several combinations of steps that U.S. policymakers might take in trying to address the greenhouse gas emissions by the nation’s transportation sector, which consumes 70 percent of the oil used in the United States. Most of the models assumed an economy-wide carbon dioxide tax starting at $30 per ton in 2010 and escalating to $60 per ton in 2030. In some cases researchers also factored in tax credits for electric and hybrid vehicles, taxes on fuel, or both. Interestingly, an economy-wide carbon price of $30 to $60 per ton of CO2 alone is unlikely to prevent significant growth in U.S. transportation sector greenhouse gas emissions and oil imports by 2030, nor will increased fuel efficiency alone. U.S. policymakers must keep the effectiveness of fuel taxes in mind as they set to work on federal transportation reauthorization.